One of the best things about a new season is a new handbag. And I always shy away from purchasing one, because I can never find anything I truly love. Or when I do find a bag I love, it is extremely expensive. Teddy Blake is a high end carries a wide range of handbags in many different sizes, colors, and textures. Without the high end price tag. 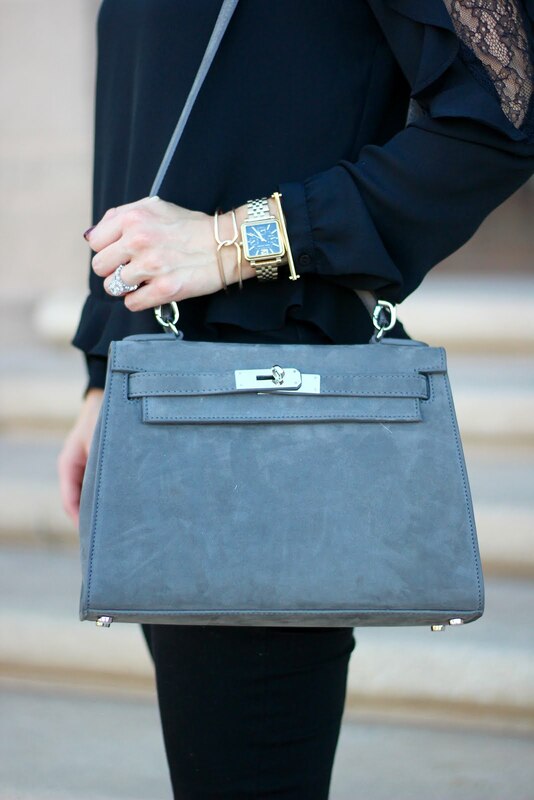 The minute I saw this gray handbag I was in love! It is the perfect Fall color, that will go with any outfit. Mine is an 11 inch and the perfect size to carry everything you need. It also comes with a strap that you can covert it into a shoulder or cross body bag.